SACRAMENTO — Gov. Jerry Brown on March 14 announced the reappointment of Bruce Saito, 61, of Long Beach to the California State Board of Forestry and Fire Protection, where he has served since 2005. Saito has served as executive director at the Los Angeles Conservation Corps since 1995, and was deputy director from 1986 to 1995. He was program manager at the California Conservation Corps from 1976 to 1986. He is a board member of the Los Angeles River Revitalization Corporation, Los Angeles Neighborhood Land Trust, and California Prison Industry Authority. 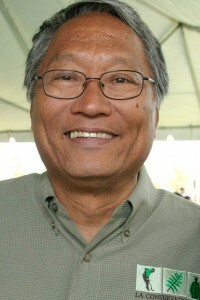 Saito has served as president of the National Association of Service and Conservation Corps (now known as The Corps Network) and of the California Association of Local Conservation Corps; and as a board member of the Los Angeles Community Garden Council, Infrastructure Academy, and Little Tokyo Senior Nutrition Program. He has been recognized by the City and County of Los Angeles, the State of California and the federal government, and has been honored with a National Philanthropy Day Outstanding Professional Award. In 2006, he received a Durfee Sabbatical Award for his many years of dedicated service to the youth of Los Angeles. Saito received his bachelor's degree from San Francisco State University. This position requires Senate confirmation and the compensation is $100 per diem. Saito is a Democrat.